Beauty and the Beast has always been a problematic narrative: a man who is both physically scary and emotionally monstrous is transformed by the patience and love of a good woman after he takes her prisoner. Modern screenwriters have their work cut out adapting that into an empowering story that doesn't reek of Stockholm syndrome and domestic abuse apology. In this 2017 adaptation the songs are lovely, and the sets are elaborate and gorgeous. Even empty and dusty, the beast's castle has a stony baroque splendour, whilst the late 18th century costumes are enchanting. The story starts with the prince (Dan Stevens) being damned and turned into the Beast whilst all of his servants are turned into knick-knacks, which seems disproportionate to their crimes. Against the odds, the Beast must find love before time runs out and an enchanted rose sheds its last petal. Belle (Emma Watson) is considered an odd girl in her village because she's a fan of reading and the daughter of an inventor. She's about the only young woman not interested in the attentions of Gaston (Luke Evans), the brash, handsome and overconfident soldier back from the war. The two are comically unsuited, but Gaston can't see it and won't take no for an answer. Things change when Belle's father Maurice (Kevin Kline) gets lost in the woods and finds the Beast's castle. Belle sets out to rescue him. Caught in the castle, Belle insists on taking her father's place as the Beast's prisoner. This version is a family film, and the story is nowhere near as dark or deep as the plot has the potential to be. It's refreshing that Belle is bookish and smart, which gives her character a modern touch. However, more could have been done with this. We see Belle helping her father build things, but although she finds common ground with Beast over a shared love of literature, she never uses her education directly to invent anything that will help her get out of the various predicaments she finds herself in. The transformed servants are cute and quirky, adding comic touches throughout. The overall tone is quite light, although there are poignant moments including one where Belle journeys to plague-ridden Paris as a sort of magical flashback. LeFou (Josh Gad) is one of the more interesting characters. He is Gaston's conflicted sidekick, and Disney's first canonically gay character. This gives a little more depth to his motivations, and Josh Gad's cheeky portrayal elevates LeFou far beyond being yet another bland and nasty minion of Gaston's. Gaston is very much comically larger than life, and about as self aware as an abacus yet less civilised. With a host of entertaining characters, this movie is certainly enjoyable. I found the Beast's psychological change from harsh and horrid to kind and friendly a bit too abrupt to be believable. The film could perhaps have done with some extra transition scenes, because the main characters' change of attitude seems to happen in a blink. I also wasn't impressed when the Beast's selfishness is blamed on an awful father who we don't really get to meet. Blaming a parent detracts from the central moral lesson that the Beast is supposed to learn. This is a tame film, however, and as such it avoids turning Belle into a victim with no agency. So on balance it's just about feminist enough to be able to relish the music and the romance without uncomfortable misgivings. 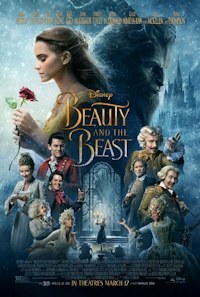 A vain and unpleasant high school student is cursed with ugliness in this modern interpretation on Beauty and the Beast. 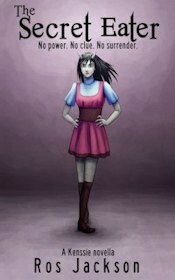 This re-imagining of Sleeping Beauty tells the story from the point of view of the fairy who curses Aurora. All comments are pre-moderated. Please do not post spoilers or abusive language. Is Belgium in Europe or South America?